Adding mods to your server is quite simple and only requires a couple of steps. Now you will want to navigate to down to near the bottom of the file (line 303) and find the Mods section. 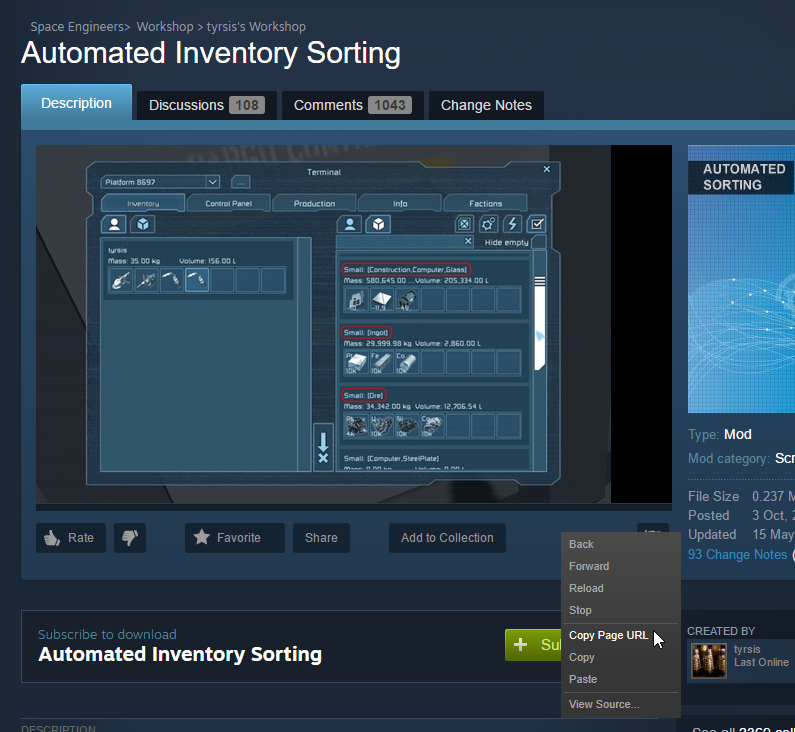 You now need to open up the Space Engineers steam workshop and find the addon that you want to add to the server. Paste this URL into your browser and head to the link. Continue adding addons like this, each within their own ModItem field as shown in the screenshot.